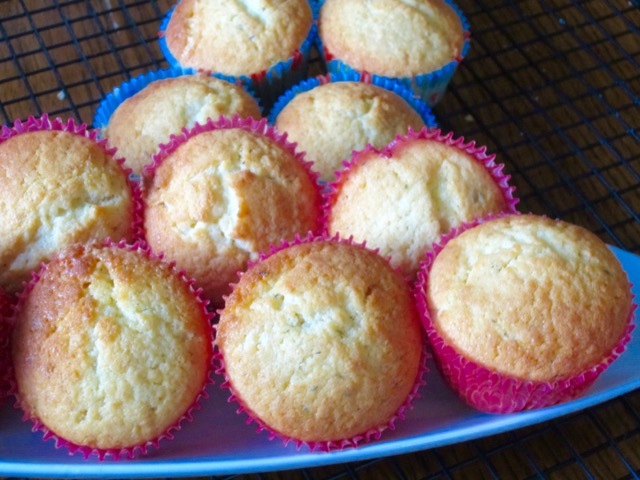 These muffins are soft light and fluffy. They were demolished within two hours. Have a pleasant week! Preheat the oven to 360ºF (180°C), convection (390ºF; 200ºC regular oven) ten minutes before using. Line two 12-hole muffin pan with 24 medium paper cases. Whisk or sift the flour, baking powder and baking soda into a bowl. Set aside. 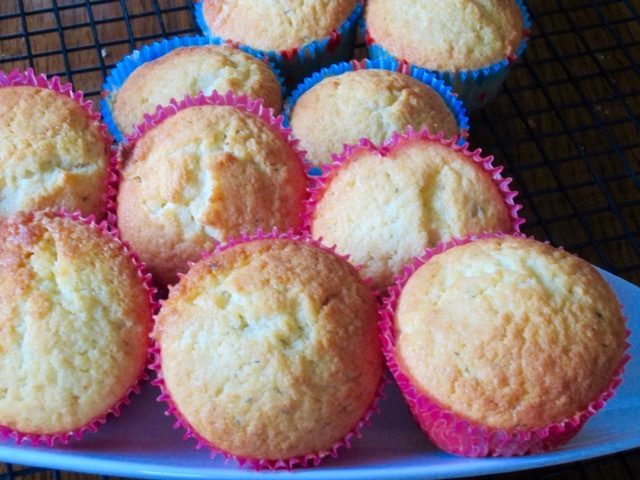 In a stand mixer, beat the butter, sugar, lemon zest and crushed thyme until light and fluffy. Beat in the eggs one at a time until fully combined. (scrape bowl from time to time). Using the lowest speed, fold in ⅓ buttermilk, ⅓ flour and the 3 tablespoons lemon juice. Fold in the rest of the flour and buttermilk in two batches. Scrape the sides of the bowl and remove it. 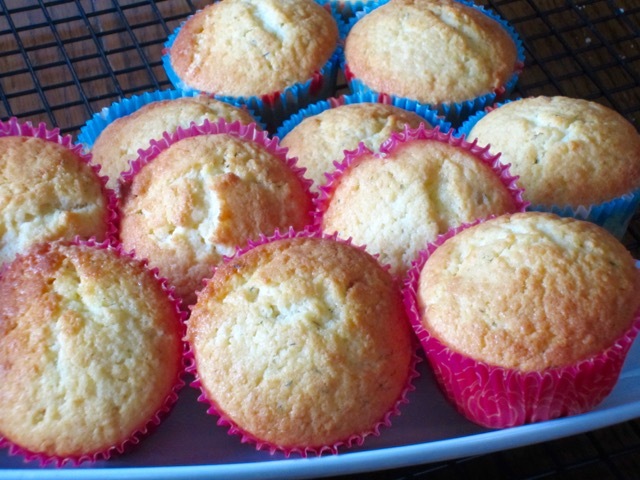 Spoon the batter evenly into the prepared muffin cases. Bake on the top rack for 25-30 minutes or until golden and a toothpick inserted in the middle comes out clean. Set aside for 5 minutes then transfer to a cooling rack. Please note that oven temperatures are given as a guideline only. You may need to add or reduce the suggested temperature depending on your oven. 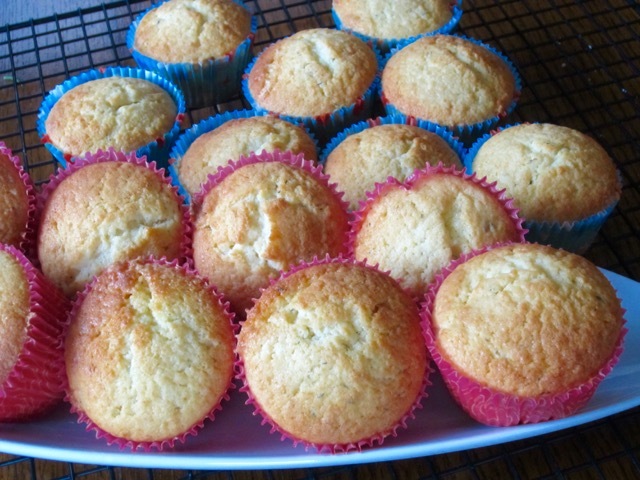 I baked muffins 360ºF (180ºC) convection for 28 minutes. In the bowl of a stand mixer, beat the butter, sugar, lemon zest and crushed thyme until light and fluffy. Beat in the eggs one at a time until fully combined. (scrape bowl from time to time). Using the lowest speed, fold in ⅓ buttermilk, ⅓ flour and the 3 tablespoons lemon juice. Fold in the rest of the flour and buttermilk in two batches. Scrape the sides and bottom of the bowl and remove it. 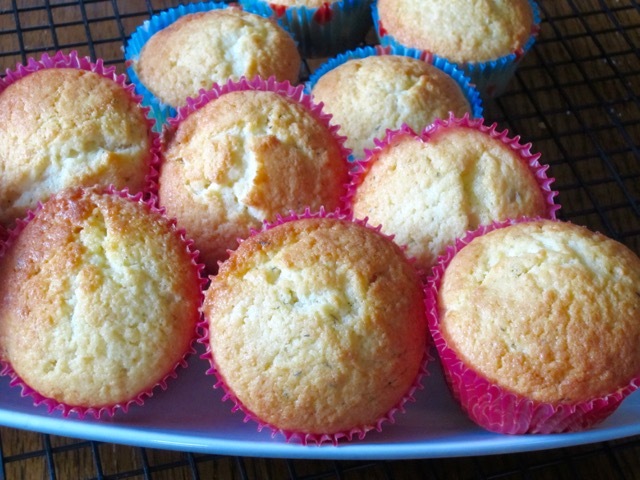 Spoon the batter evenly into the prepared muffin cases. Bake in the middle rack for 25-30 minutes or until golden and a toothpick inserted in the middle comes out clean. Set aside for 5 minutes then transfer to a cooling rack. All these Lemon recipes – I am in heaven . Need to get baking. Did you get baking! Lemon and thyme is a great combination!